This Saturday, August 17th the North Shore will put on their first local craft beer festival in Highwood’s Everts Park from noon-5:30pm. The festival will feature beer from over 30 breweries, including many of our Midwest local favorites. 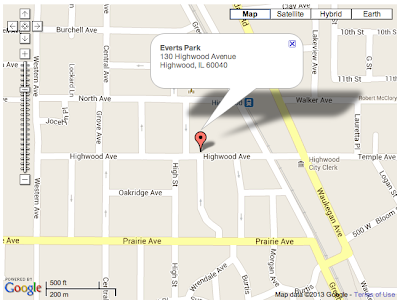 Downtown Highwood is easily accessible from Chicago, just half a block from the Highwood Metra Station. Breweries to include: Ale Syndicate, Allagash, Argus, Bell’s Brewery, Berghoff Beer, Boulevard Brewing Co., Capital, Cider Boys, Dogfish Head, Finch Beer, Firestone, Goose Island, Great Lakes, Half Acre, Lagunitas Brewing Company, Lake Bluff, Lake Front, Magic Hat, Metropolitan, Mickey Finn’s Brewing, New Belgium Brewing, New Holland, Oskar Blues Brewing, Potosi, Pyramid, Revolution Brewery, Rogue, Stone, Tall Grass, Two Brothers, Wild Onion Brewing. Tickets Includes: Souvenir glass, wristband, a brewer’s list card & map of event, bag of pretzels & String. You must be 21 years of age or older with a valid ID to enter the festival. The VIP Experience Tickets guests will be allowed in one hour earlier than the general admission ticket holders. Take advantage of this great opportunity to taste reserve or signature beers from participating breweries and get a chance to meet the brewers & brewery representatives themselves! VIP Tickets Includes: Souvenir glass, wristband, a brewer’s list card & map of event, one bottle of water, bag of pretzels & String. You must be 21 years of age or older with a valid ID to enter the festival. Only a limited number of tickets will be sold. From Chicago's North Shore, Ted Widen launched Chicago-Scene.com in 1998 as one of the first social networking, events and entertainment sites in the country. Widen is known for his unparalleled event and production, producing such events as the Chicago Scene New Year’s Eve Party hosted at the Historic Drake Hotel. The event is attended by over 2,500 people annually since 2000. This success has sparked plans for 2013 to add The Chicago Hilton and Towers New Year’s Eve Party, with over 4,000 attendees to his portfolio. Accolades include: Chicago Scene Magazine Publication started in 2001; reaching Chicago's A-List young professional 21-39 year old market in the downtown area, The River North Craft Beer Pub Crawl this past May with 10 bars, 20 Craft Beers and over 2000 attendees, and this October he is producing the Windy City Craft Beer Festival at the Drake Hotel and many more Craft Beer events in the future.